Good morning! Or afternoon. Or whatever time it is you’re reading this. Good day! 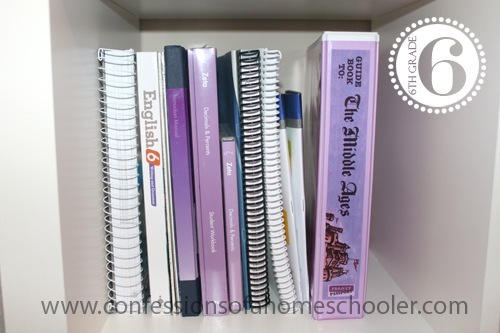 Today I’m sharing our 6th grade homeschool schedule. This is basically an outline of our day and things do change up a bit here and there. But for the most part, this is the schedule that Strawberry Shortcake is following this year. She has had the pleasure of completing a photography class so she’s excited about that, and I think I’ll allow everyone to pick one elective next year since this one went so well. Strawberry Shortcake is currently 12 years old, and in the 6th grade. She definitely has a filled schedule this year, but she’s doing great and enjoying school! As I mentioned we are currently doing Bible, History, Science, and Literature as a group which makes it a bit easier on me. And this year Tinker Bell, Turbo, and Strawberry Shortcake all do IEW writing together too. I received several comments on when we do chores. We mostly do chores in the afternoon after school. Since we have sports almost everyday, we each do one thing between 2:30-4. So for example Turbo will empty the top of the dishwasher, Teeny Tot will empty the bottom, Strawberry Shortcake and Tinker Bell will fold laundry together, and I’ll sweep the kitchen floor. We do an all family house clean on one of our weekend days. Everyone gets 1 job and we all clean together. Science: Abeka Science 5 & one of my scientist units if we can fit it in! Quick question, Vocabulary Workshop, does she do all the work online or are there workbooks to go along with it? Also, did you pick her level for Spelling You See by taking their assessment on their website? My son scored high based on their assessment but I’m skeptical and didn’t want him to miss out and have any gaps in this program as it would be new to us. Thank you as always. We bought the workbooks, so they all do one section per day. I know that doesn’t make sense level wise with going on each grade, so I’ll have to figure it out for the following years, but I just chose levels that looked appropriate for where they are at now. Just curious….when are chores done? We have seven kiddos…five are home schooled and the other two are ages 6 months and 2 1/2. I have to schedule in laundry, dishes, vacuuming, etc. When do you fit those things in? Angela, your kiddos seem to be in close age to my kids. Could you share how you fit your chores into your schedule? Also, what do you do with your 2 littlest ones during school? Thanks! We do chores in the afternoon after school. But since we have sports every night, each person does one thing between 2:30-4. So for example Turbo will empty the top of the dishwasher, Teeny Tot will empty the bottom, Strawberry Shortcake and Tinker Bell will fold laundry together, and I’ll sweep the kitchen floor. What handwriting do you use for Turbo? My son’s handwriting is awful. Do you make your kids do cursive from 3rd and up? If so, how long? And do they write cursive in all their subjects or just handwriting? If you’re working with younger kids, I would suggest AAS for Level 1-2, those have the most phonics rules and I do like how they teach and memorize those rules. Once we got to the older levels of AAS they didn’t seem to be helping my older kids as much plus it is kind of teacher intensive. So I’ll probably continue to use AAS for the younger grades until phonics rules are down, then move to SYS for the older ones. I haven’t loved any specific vocab we’ve tried, but I will say our kids seem to be doing well with Vocabulary Workshop so I’ll probably stick with that again next year. But no, they don’t like it 🙂 I’ve tried other more fun things like Evan-Moor vocab workbooks, but I don’t feel like those were enough. I was just wondering how you use the time travelers history? I bought one of the CDs and it seems difficult to put together or know how to use. Maybe it’s user error. Now I am starting to home school my daughter next year. I was wondering if most of the time they have two specials, why does strawberry shortcake have one special a day and sometimes non at all? This is just how her schedule worked out last year, it changes each year depending on what she wants to include and how much time we have to spare 🙂 Right now she only has time for her special activity once a week. I’m surprised to see IEW along with BJU English. Is the writing portion of BJU not adequate? I’m using the 3rd grade one right now and half of it is writing specific. It’s just personal preference. I don’t feel like BJU writing is done very well. They more just give assignments and then say “here write this”. That is okay for my daughter who is naturally a decent writer, but did NOT work very well with my son who needed more direction. We tried IEW this year with everyone (except my kindergartener) and it went really well. They give a lot of instruction on how to form paragraphs, and add in strong verbs, adjectives, etc. It has really helped everyone with their writing skills and wasn’t at all as intimidating as I thought it would be. So we just skip the BJU Writing chapters and only use the English/Grammar lessons. IEW has a program called Fix It! Grammar, I would suggest that if you don’t want to use Bju Press. The IEW Writing doesn’t have the grammar in it that you’re looking for. What would you suggest for a boy with weak grammar skills? He is going into 4th grade this is our second 3rd year homeschooling. I feel he never got a strong understanding in ps. http://www.landmarklfbc.com/ I have a younger son who is technically a adult but has a mental age between 2nd grade to 4th depending on the subject. So I still work with him but these days I look for materials on the web for things that go along with his likes. We don’t have to be so regimented with him because no one is looking over our shoulder but it sure is nice to hear someone say “I didn’t know he could do that:” This site is one of the ones I go to for help when I am looking for something because I know I will find something that Erica has done that will work with him. Erica I was wondering if strawberry shortcake has finished all the literature units and is doing different ones now? We have almost finished all your units, thank you so much for. Was wondering if you will making more of them. Yes, she’s almost done all of them now. They’re really too easy for her at this point, so she’ll be reading other books next year, still determining what that will look like 🙂 I might make more! Can you compare Vocabulary Workshop to Wordly Wise? Is it similar? Vocab Workshop and WW are somewhat similar, however I prefer Vocabulary Workshop for some reason. I’m not sure exactly why, but it seems to work a little bit better for us. But they are similar in style and workload. Thanks so much! I will be looking into it. It might be the change we need. Thanks again!!! I have followed your site for years. Thanks for all you do. 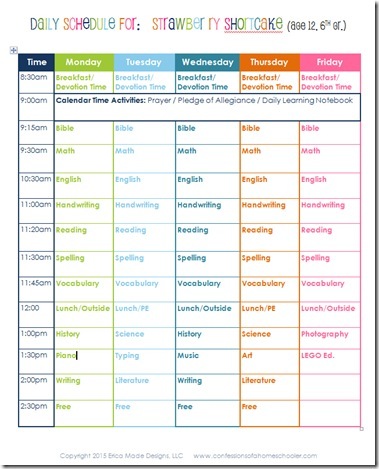 I have one question about the schedules: why only 10 minutes for reading? Oh, sorry for the confusion! I should rename that. 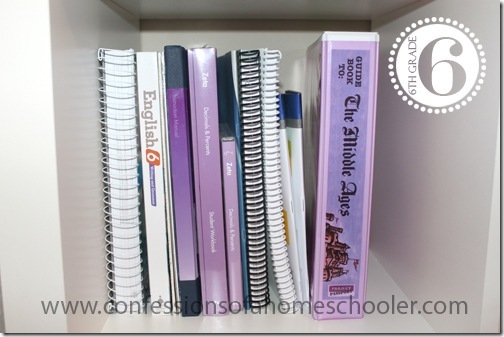 The 10 minute reading is the Abeka Read and Think Skill sheets, they’re timed comprehension tests that they do, so they only take 5 minutes actually. Then you’ll notice she has literature later on for 30 min., that’s more her actual reading time if that makes sense 🙂 I’m putting up new schedules shortly that will hopefully clear that up! Thanks for the explanation, Erica. That’s makes perfect sense. Hope to post mine soon.